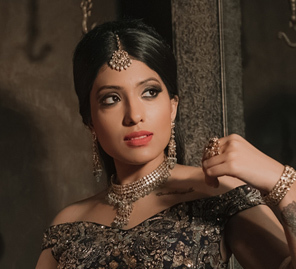 Take a look at the ravishing transformation of three lucky brides-to-be immersed in a world of vintage glamor with timeless jewelry from Kalyan Jewellers. We hosted the latest edition of 'WeddingSutra On Location' in New Delhi, to showcase top bridal trends and style statements. The three brides-to-be arrived at the location to experience beautiful transformations that were in line with their tastes as well as to get a peek into what they could expect to look like at their respective weddings. 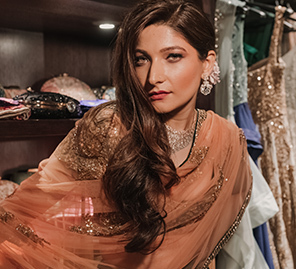 Brides-to-be Tanisha Aggarwal, Akanksha Rathee, and Sahiba Arora were immersed in a world of vintage glamor with timeless pieces from Kalyan Jewellers as we created exquisite looks that were inspired from the glamorous mod makeup of the 1980s. Once the brides selected their outfits, they couldn’t wait to pair them with the exquisite jewellery. Each bride picked a beautiful set that was a reflection of the rich tradition of our land with each piece telling a fascinating story from the times of the past. 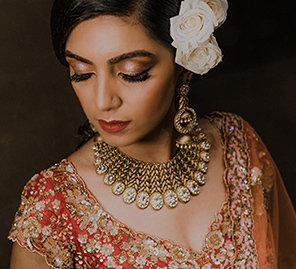 Their unique handmade pieces are exemplary of high-quality design and craftsmanship and were just what they needed to add a bit of that vintage magic to their bridal looks. 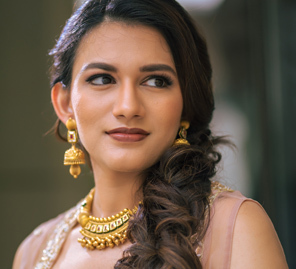 Makeup artist Shruti Sharma used her skills to turn the ladies into the prettiest versions of themselves with a little help from the Lakme Absolute range of products. She matched the ensembles wonderfully with bridal looks that spelled vintage meets 80s mod with Lakme Absolute range. The stunning bold shades of Lakmé Absolute Matte Melt Liquid Lip Colour added to the charm and the girls looked radiant all day. The lovely moments of the shoot were captured by the talented photography and videography team of Infinite Memories who made sure that the brides exuded high energy all through the shoot and felt comfortable to face the camera and ace the experience.